Growing up most family pets consisted of either a dog or cat, perhaps a hamster. However for me it was always a budgie. 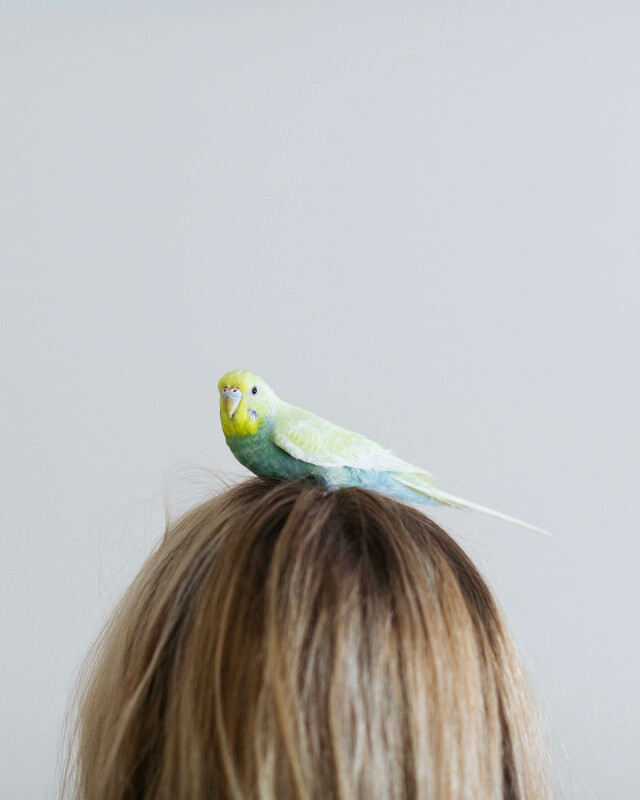 A Budgie, also known as a Parakeet is a small, long-tailed parrot. For such a small pet to keep they are full of character and once you’re accepted into their very private flock you’re basically one of them – they will love you forever. When Petplan Pet Insurance asked me if I wanted to work with them and write about my pet, of course I said yes. If you watch my weekly vlogs over on YouTube or my Instagram stories you’ll know how much I adore my little Vince and so do you guys. I get countless messages and comments when I feature him, so this collaboration definitely works for me. When I was 17, our family pet Budgie Joey sadly had to be put down due to a tumor. It was devastating but looking back I have such lovely memories of him throughout my childhood. 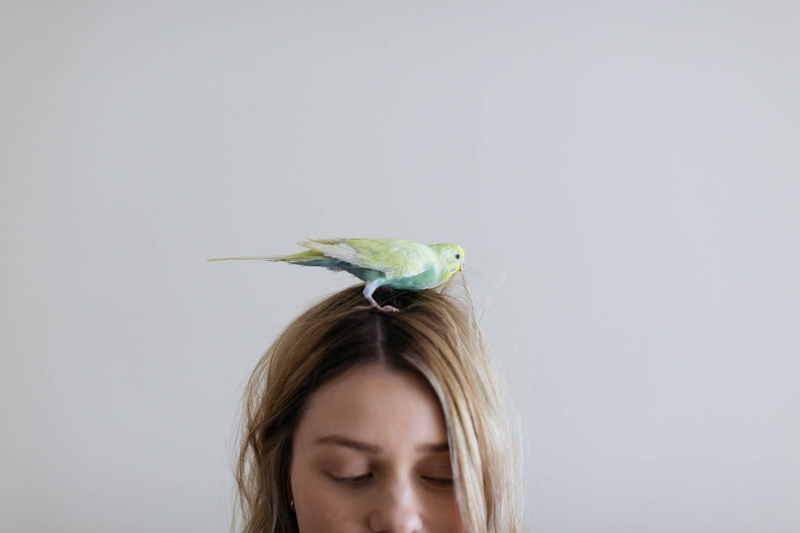 He used to fly around, sit on my head and run through book tunnels but also used to wake me up at 7am every single day without fail, he was a great alarm clock. 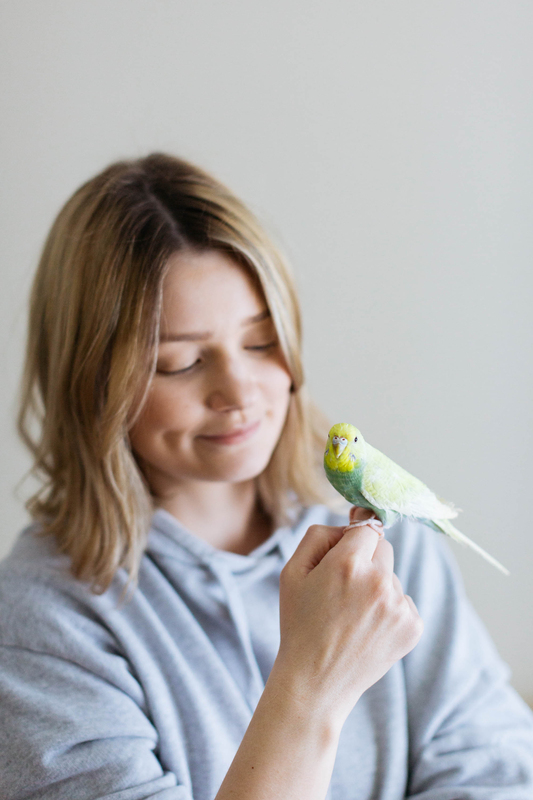 When myself and Chris decided it would be nice to have a pet but didn’t think our lifestyle would accomodate a cat or dog just yet… a budgie seemed like the perfect idea. Then came along Vince! For a few weeks I wondered if we had done the right thing in getting Vince because he seemed scared, timid and to be honest… I felt really sorry for him. He was kept in a place with lots of birds and suddenly was all alone in a strange place. However, I researched so much and picked up ways to make him feel more secure and over time it’s really worked. He’s a joy, chirps a way all day, is super easy and affordable to look after and has his own little personality. We love him! Where is the best place to buy a Budgie? I always advise people to buy Budgies from actual bird breeders. Pet shops are okay, but generally I don’t feel like the birds are looked after as well and sometimes they’re not as receptive. 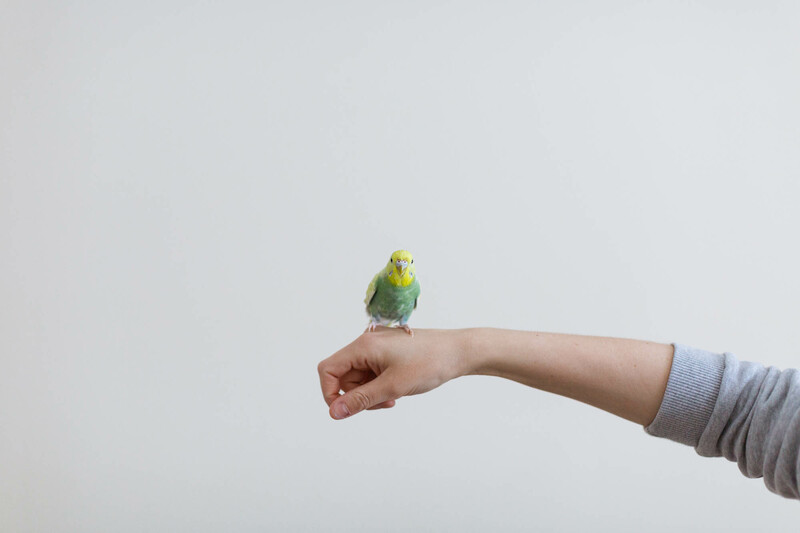 A bird breeder will breed the Budgies and raise them from chicks, which always seems much nicer, whereas a pet shop will most likely buy them in bulk. Plus, from past experiences the Budgies I have had from breeders have been happier, more likely to talk and bonded with me easier. Usually you can Google bird breeders local to you and contact them to see if they have any Budgies for sale. 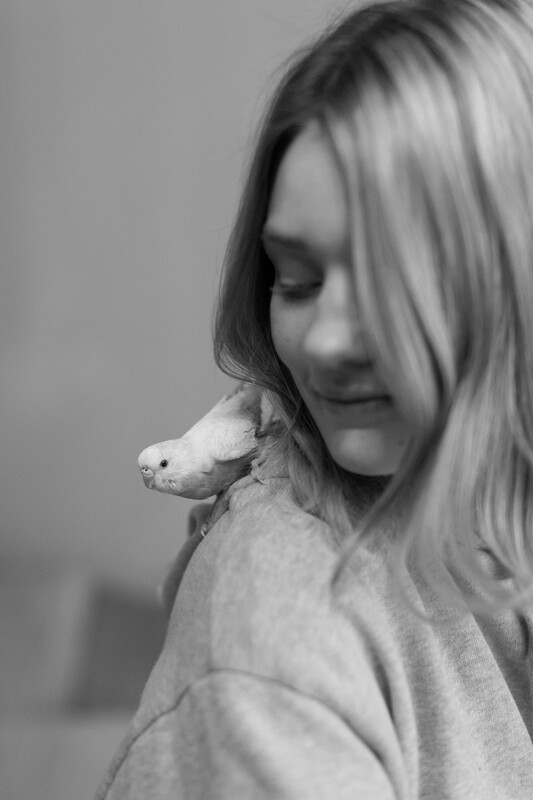 I would also advise to buy a Budgie as young as possible (Vince was only 12 weeks old!) as they are less set in their ways and much easier to make feel comfortable and train. How did you tame Vince? 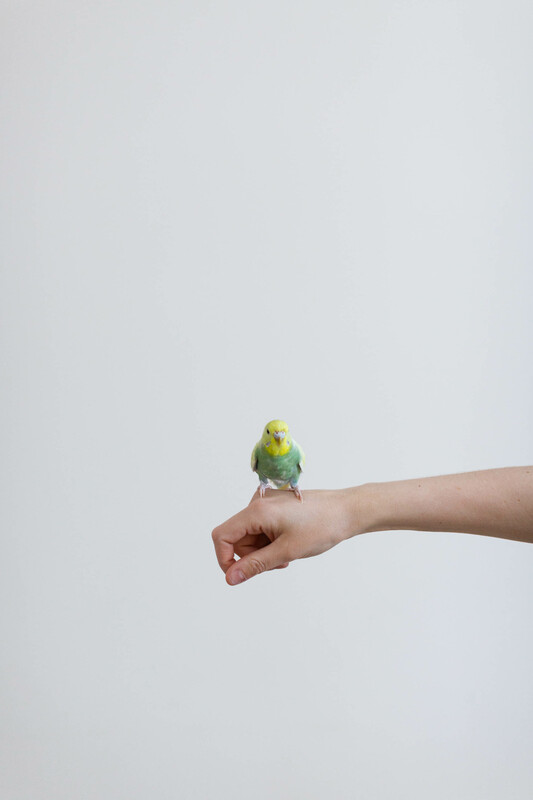 Taming a Budgie definitely takes time and patience. When you first take your Budgie home, it’s good to just leave them be for a few weeks whilst they settle in. Once they seem a bit more comfortable, start slowly putting your hand against their cage (on the outside) and talking to them softly. After a few weeks of doing this (preferably at some point every day!) pop your hand into their cage, leave it still even when they fly around – they will calm down eventually. Don’t follow them around the cage with your hand, just leave it in the exact same spot for a few minutes. After a few weeks of doing this, I popped some seed into my hand and held it near Vince. It took a while, but eventually he started eating the seed from my hand so I did this every evening for a good few weeks. I tried to pull my hand away slowly when he was eating it to try and make him jump onto it, but he was too clever and only jumped on my hand once, ha! I did this for a few months, until eventually he seemed fine with my hand and began to realise it wasn’t a threat. Then one day, after putting my finger out near him, he just jumped on! It was a gradual process but then suddenly he seemed so comfortable. We were then slowly able to get him out of the cage to have a fly around. Now he will jump on our knees, the sofa and happily sit with us. He is still a little nervous, and flies around in a panic but slowly he’s getting better and definitely more comfortable being around us. The thing to remember is, we’re huge compared to them so it takes time and being calm definitely helps. 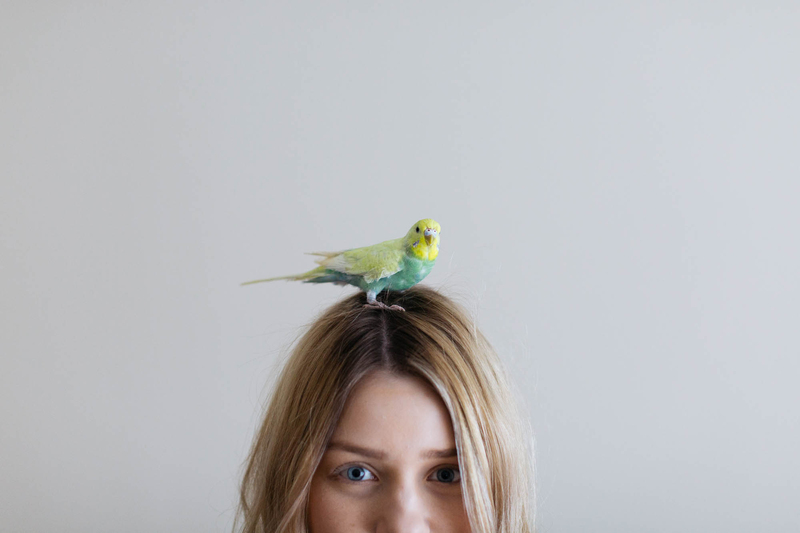 Are Budgies easy to look after? 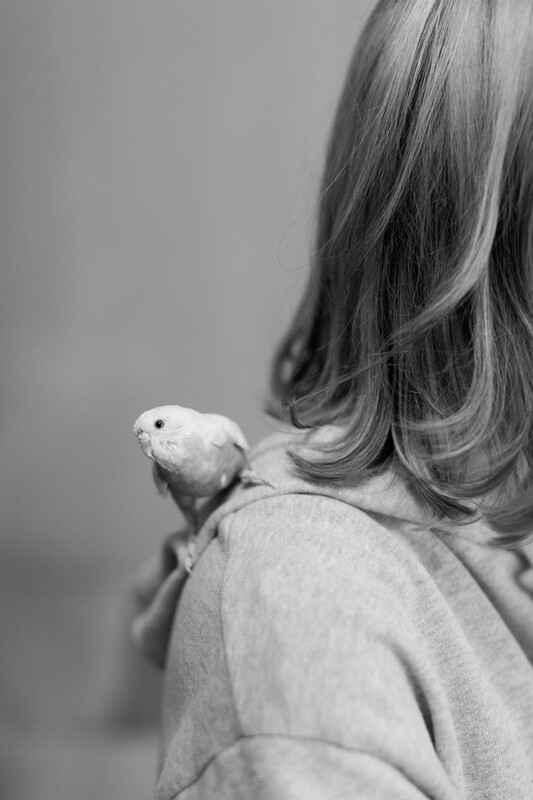 Budgies are super easy to look after but you do have to spend time with them to keep them happy. The main upfront costs are the cage, seed mix, some toys and sandpaper for the bottom on his cage (although, you can use newspaper if you wish! I just think sand is nicer…) I brought Vince’s cage for about £40 from the breeders but there’s hundreds online to choose from! I tend to buy a few different toys (all online too) but to be honest, Vince has his favourites so I don’t swap them around too often. He is definitely a low-maintenance pet and costs hardly anything to keep. I’ve been using the same bag of Budgie seed since we got Vince way back in August, so it lasts a long time. I do give Vince vegetables and fruit every day too but I just mostly use what we have in the fridge for ourselves (he loves cucumber!) You can find information on which foods to give Budgies online – always make sure you check as some foods aren’t good for them. I change his seed every other day just to freshen it up, but he doesn’t eat loads. He has a little water bowl which I change daily and I always use filtered water because it tastes much nicer and is healthier! Touch wood, Vince’s health is all good right now but with past experiences I know that Budgies can still get poorly so I definitely keep a close eye on him. Reading specialised forums are great because you can post questions and have them answered straight away from people with bird knowledge. Also having pet insurance (such as Petplan Pet Insurance) can definitely help ease your mind, just incase anything were to happen you know you’re covered. 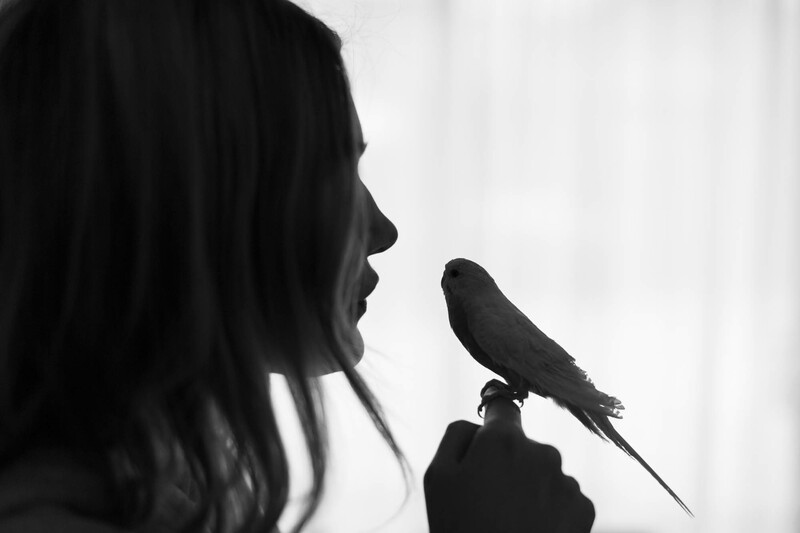 We didn’t have it with my first Budgie and I remember wishing it was something I had taken out, even just for some simple reassurance.